Today we are going to take a close look at the Plextor M8V. Just like the top of the line Plextor M9Pe we just reviewed last week, this new value-oriented SSD from Plextor promises to come into the market guns blazing. It is filled with Toshiba’s BiCS3 TLC NAND and powered by an SMI 2258 controller. Together this combo can easily deliver performance that saturates the SATA 6Gb/s bus, but what really makes the M8V stand out in the sea of competitors are its features and accessory package. With compatibility with four different and useful softwares from Plextor and hardware-based encryption support, the M8V is trying to lead the way in value. But, will that be enough to earn our recommendation once we put it through our testing regimen? Read on to find out! 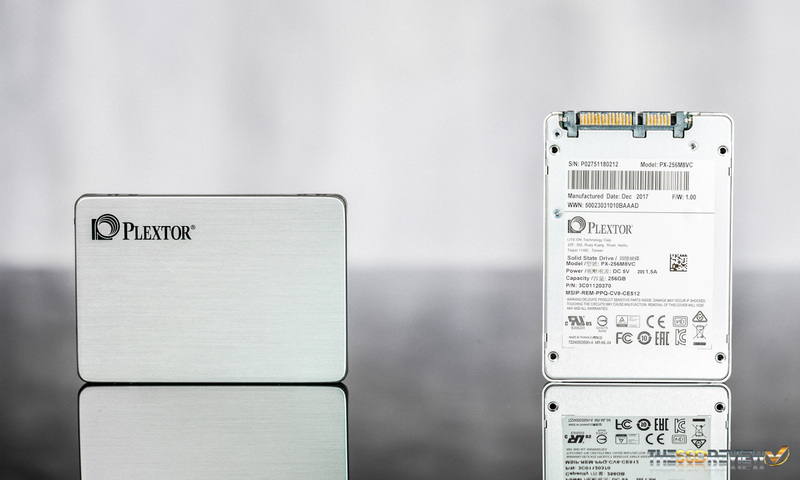 The Plextor M8V is a SATA 6GB/s SSD that is available in both a 2.5″ 7mm and M.2 2280 form factor. It is available in capacities of 128GB, 256GB, and 512GB. We don’t have pricing on the M8V yet, but we did find a source stating that the MSRP is $148 for the 512GB model. 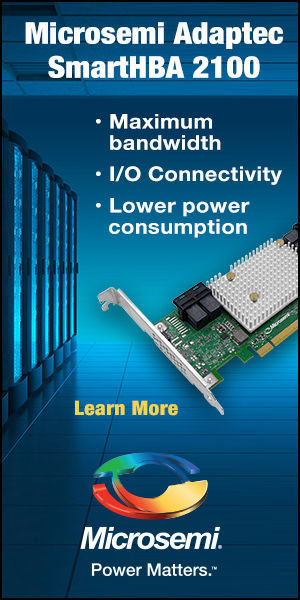 Sequential performance is rated for up to 560MB/s read and 520MB/s write. 4K random performance of up to 82K/81K IOPS read/write. The 128GB model is rated for 70TBW, the 256GB model is rated for double that, at 140TBW, and the 512GB model is rated for up to 280TBW. These are slightly less than the M7V before it. Just as the M7V, the M8V is backed by a 3-year warranty. The M8V features LDPC error correction and 128-bit ECC, along with a robust data hold-out algorithm for data accuracy and reliability. 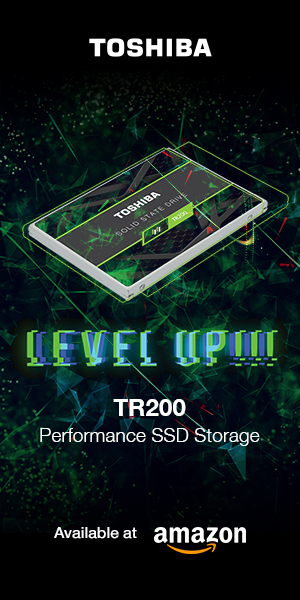 Furthermore, a feature called TrueSpeed supposedly helps the SSD’s performance remain like new, even after prolonged use and PlexNitro, a proprietary SLC write cache optimization technology, helps to boost the write performance of the SSD with its inherently slower TLC NAND. In addition to this, it is compatible with a few Plextor made softwares; PlexTurbo, PlexCompressor, PlexVault, and Plextool. 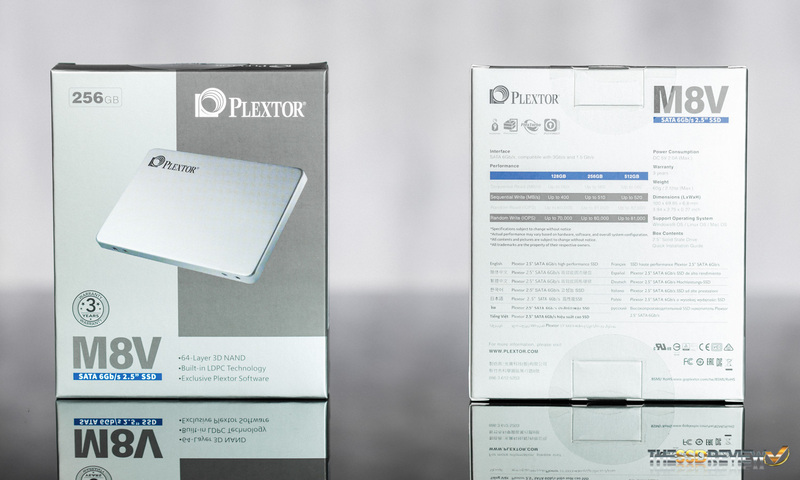 PlexTurbo is a proprietary SSD RAM caching software from Plextor that will give you a performance boost under some workloads and can help to extend your SSD’s lifespan by eliminating unnecessary writes. PlexCompressor allows the SSD to compress files that haven’t been accessed longer than 30 days in order to save space on the drive. PlexVault is a software that allows you to have your own encrypted file vault for your eyes only. Finally, Plextool is their SSD toolbox and with it, you can diagnose the SSD, Secure Erase it, update the firmware, and more. It also supports TRIM, Secure Erase, and SMART and unlike many other value-oriented SSDs, the M8V even supports hardware-based 256-bit AES full-drive encryption. So, so those of you who need more data security, you got it. The M8V comes in a silver and grey package. All the important info such as the speed, warranty, capacity, form factor, and compliances are visible on either side. 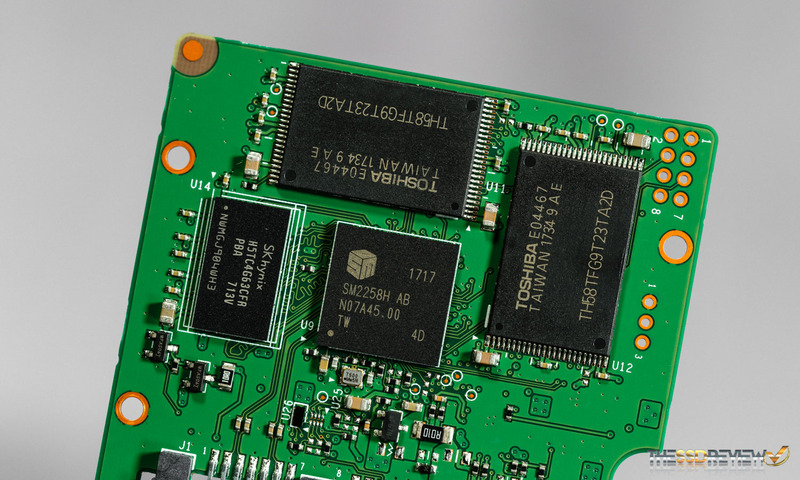 As is with most entry-level or value-based SSDs, the M8V comes bare of physical accessories. 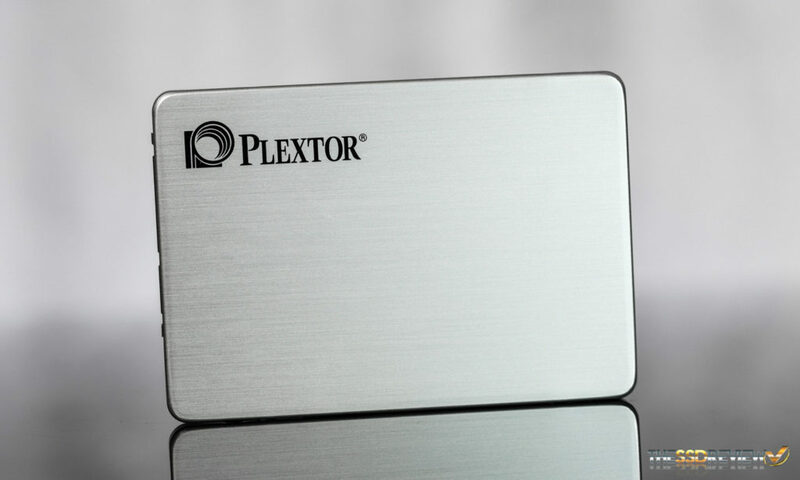 Other than the SSD itself, Plextor includes a printed installation guide. 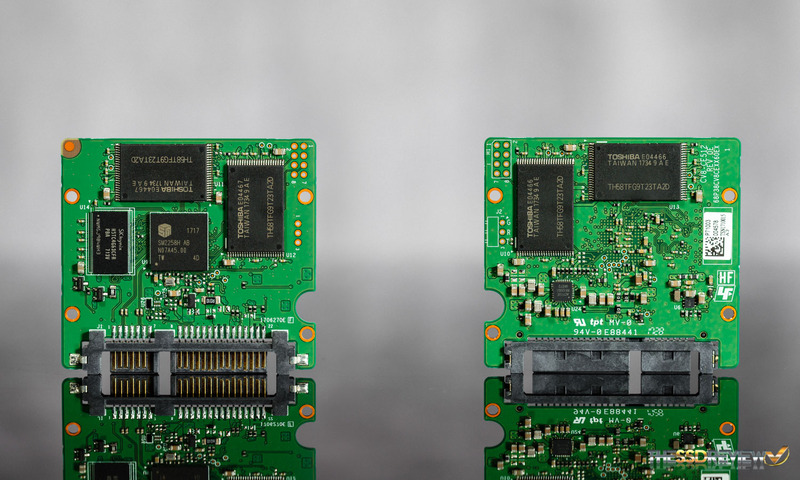 The M8V features a metal casing, and once we disassemble it, we can see that our 256GB model has a 3/4 sized PCB. Now that we can get a closer look, we can see that at the heart of the M8V is an SMI 2258 4-channel SATA controller. We have seen very good performance from this controller in the past and now that it is paired with Toshiba’s latest 64-layer 3D TLC, we look forward to seeing it dish out respectable numbers yet again. Overall, our 256GB model hosts 4 NAND packages which total 256GiB in capacity, or about 232GB once formatted in Windows.